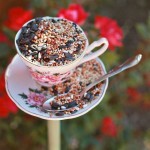 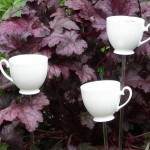 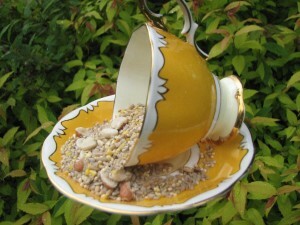 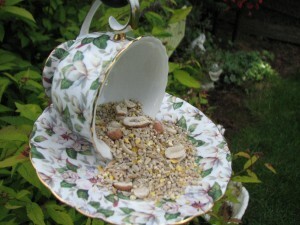 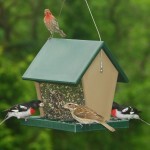 A teacup bird feeder can be made with a small amount of materials, small cost and not much effort. 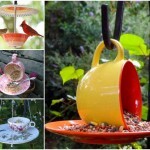 As a result you’ll get a nice item that is able not only to attract feather creatures, but to decorate your garden and backyard, giving a unique spirit and charm. 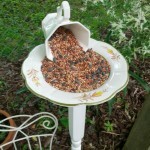 Besides the beauty, a ceramic container has other advantages. 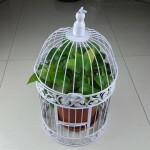 It is mold and rot-resistant and easy to clean. 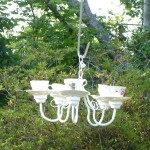 There is a possibility to make a hanging teacup bird feeder. 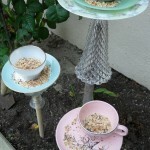 Ceramic glue, a twine, a cup and a small plate will come in handy to you. 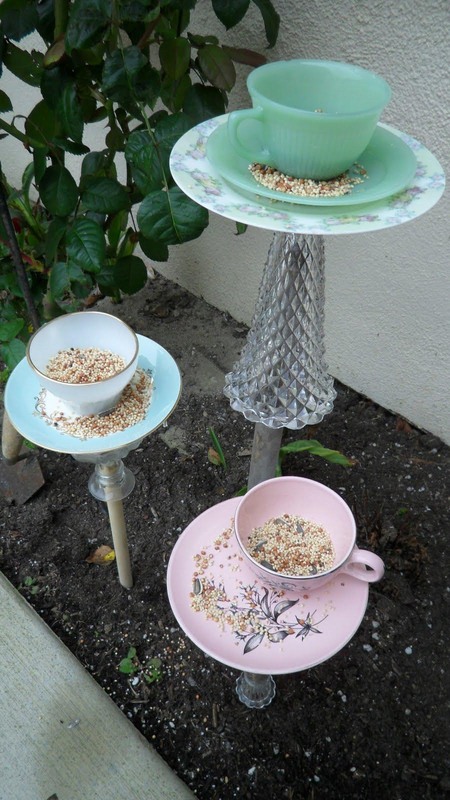 Glue the cup to the plate with the handle up and wait about two hours to dry. 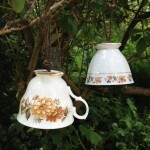 After, tie the twine around the handle and hang it from a tree. 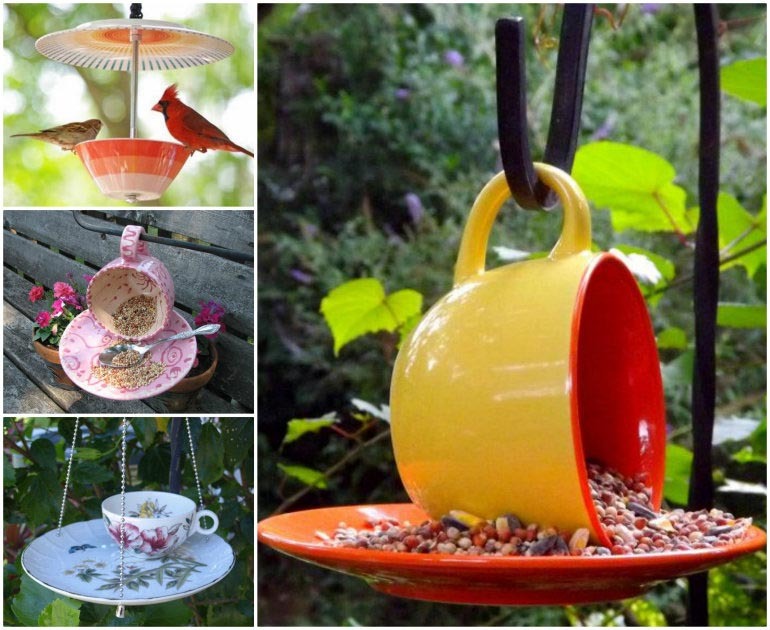 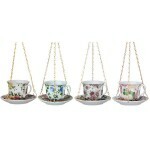 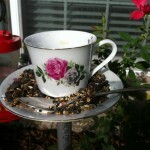 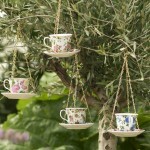 A teacup and saucer bird feeder can also be hung in other way. 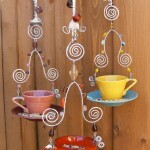 Make three holes in the plate sides, pass through three chains, tie them together, attach a hook and hang a new manger. 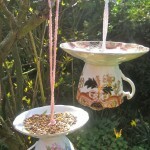 As it is seen, a handmade feeding rack is very simple to produce and doesn’t ask special knowledge and skills. 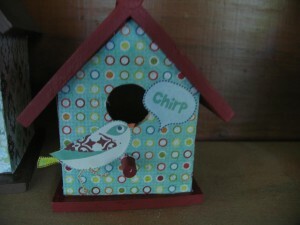 Meantime, it will be surely attractive to birdies, simple in use and maintenance. 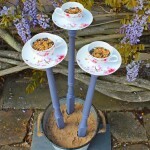 And as a pleasant bonus you will get a super cute garden decoration, which will impress you friends.